When you look in the mirror, do you wish your smile looked better and was more healthy? Perhaps you have teeth that are missing or have other dental health issues you would like repaired. Modern dental technology has given us many options to bring you a healthy, beautiful smile through restorative dentistry. Restorative Dentistry, Dental Bridge and More! Restorative dentistry is a facet of dentistry procedures that can restore your smile to its healthiest, most attractive possible look and feel at our convenient location in Derry NH. Dental Implants — A restorative dentistry marvel, dental implants insert a small titanium rod into your gums and jaw. Once the implant fuses with your jawbone (usually 3-6 months), we place dental crowns, or teeth caps, on top of the dental implants and you have a “new” tooth root and tooth! 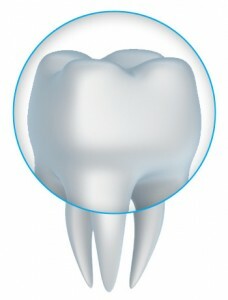 Dental Crowns —Dental crowns are teeth caps made of a sturdy, long-lasting porcelain. These teeth caps can cover teeth that have issues that are keeping you from having a healthy smile, such as teeth that are discolored, misshapen, cracked, chipped, broken or have so much dental work they are at risk of decay. Teeth caps can also be used to place on dental implants to create a new tooth. Teeth caps or dental crowns look, feel and function like natural teeth as they are custom made for you. Dental Bridge or Teeth Caps –If you have a gap in your smile, there are several restorative dentistry options to repair your smile. One is having a dental bridge placed. A dental bridge actually forms a bridge over the gap in your smile. A dental bridge is placed between two dental crowns (teeth caps) on each side of the dental bridge. A dental bridge can be permanent or removable (which is like a retainer, attached with wires). Restorative dentistry has really come a long way and we are happy to offer you these wonderful procedures such as teeth caps or dental bridge treatments, to give you back the smile you’ve always wanted. Call our office serving the Windham NH, Londonderry and Derry NH areas today!